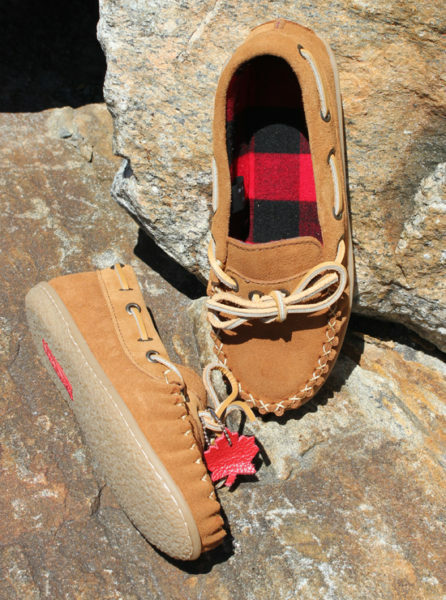 This suede moccasin is a classic – lined with cozy plaid. A rubber sole makes them perfect for wear indoors and out, and the tie adjusts for the perfect fit. 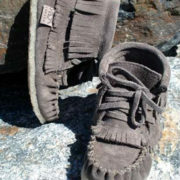 These fit a bit smaller than most moccasins; order your true shoe size (or half a size down) for the best fit. 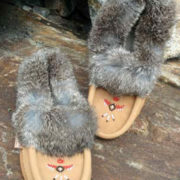 Ladies sizes tend to run large and moccasins always stretch. 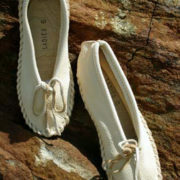 We recommend that you order one size smaller than your normal shoe size. 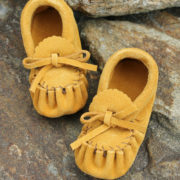 Moccasins do not come in half sizes. If you normally take a half size, go down to the next full size unless the description notes otherwise. Some styles are not suitable for a wider foot. Note that these are general guidelines, and your personal results could be different. Contact us if you need any more information.